I am currently open to review requests (until otherwise noted). I do my best to read and review books in a timely manner, preferably around the time they are launched (within the month). I am also open to Blog Tours, Guest Posts, Q/A, Author Interviews and/or Contests/Giveaways but be aware that I'll need to read the book I'm promoting. I accept ARC's, Galleys and books already published. I do not review e-books (no pdf, no Smashwords, etc.). I do not review self-published books (unless I know you are also a published author and I know who you are). Contact me: By filling out this form http://www.emailmeform.com/fid.php?formid=424829 , thanks. 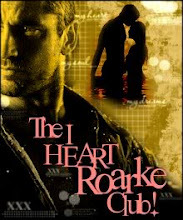 I review: crime, mystery, romantic suspense, suspense and thrillers. I DO NOT review: poetry, most non-fiction, religion or self-help. I usually reply within 3 days if I'm interested and please don't be offended if I don't answer you back! Where I post: I typically post my reviews on my blog, Amazon, Chapters, GoodReads and LibraryThing. Other info: I do not sell ARCs but keep them in my possession or give them to relatives/friends. 1) All books are bought, borrowed from the public library or won unless otherwise stated. 2) I receive NO monetary gain for the reviews and posts produced here on the site. 3) All original reviews, images and posts are the property of Paranormal and Romantic Suspense Reviews! If you wish to reuse any of this please contact me. 4) No copyright infringement is intended on original material not owned by me. My reviews are based on the following scale and will always be marked out of five. Five being the highest and one being the lowest. Thank you for considering my book. I look forward to hearing from you!